In the 1870s, black families and white families in Charlotte lived side by side. At that point, the city limits extended no farther than what is now the I-277 loop, but in each of the four wards, people of all races and income levels lived on the same blocks. 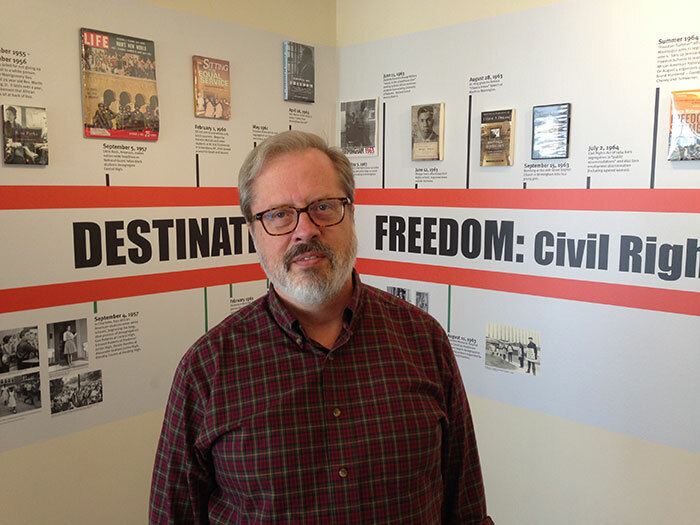 It took a series of conscious decisions across five decades to turn Charlotte into an almost entirely segregated community, said Tom Hanchett, historian at the Levine Museum of the New South. And their consequences still echo today. The wedge of south Charlotte between South Boulevard and Providence Road ranges between 80 and 95 percent white, according to demographic data from the city. 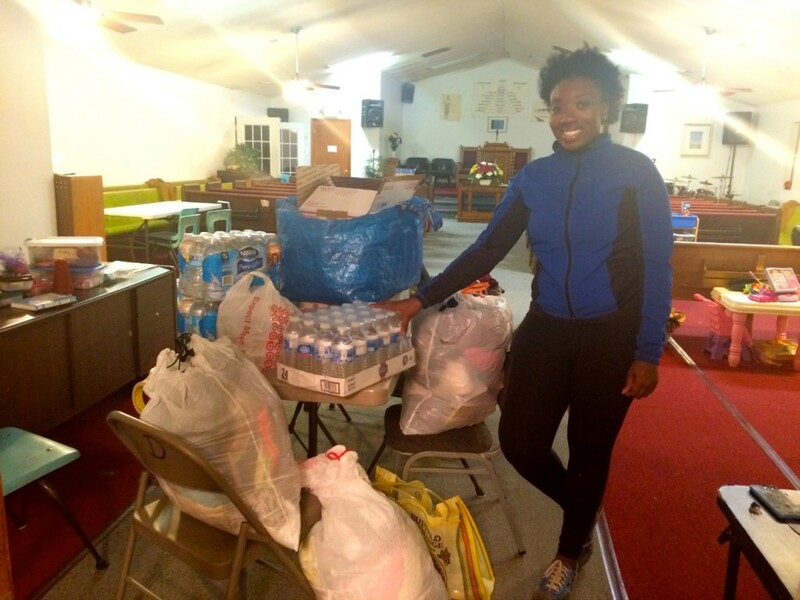 West Charlotte neighborhoods are between 80 and 96 percent black. The disparity has resulted in neighborhood schools that contain extreme concentrations of poverty with no good way to fix them. I got a chance to hear Hanchett speak over the weekend, and I came away with a new perspective on what it will take to solve some of Charlotte’s problems. 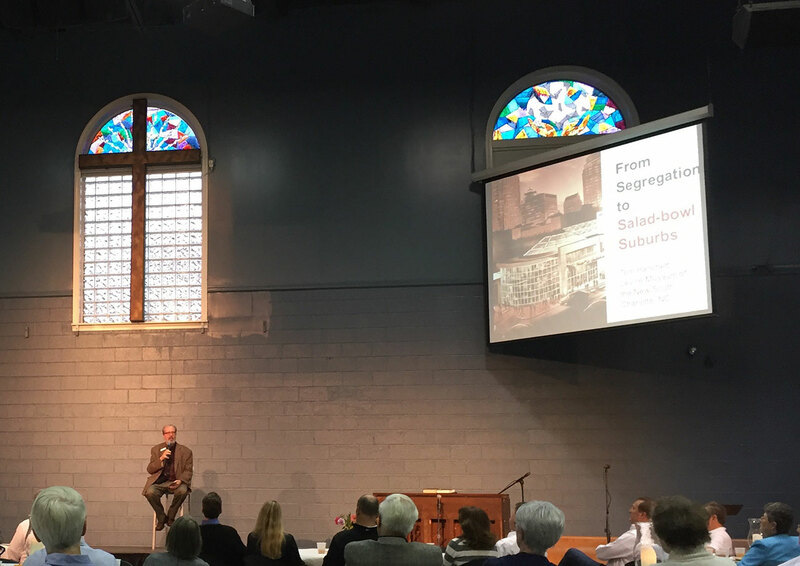 Hanchett will be giving a similar version of this talk – called “From Segregation to Salad-Bowl Suburbs” – on October 21 at the Levine Museum. You have to pay ($5/members, $12/nonmembers) but you get food and wine. You can also get the long-form version in his book, Sorting Out the New South City. Here are the decisions made that led to Charlotte’s segregation, as Hanchett presented them. The 1890s were a rough time for the economy in our state. Nearly as bad as the Great Depression, and North Carolina remained deeply agricultural. In the middle of the decade, poor white people and black people began voting together as part of the Fusion movement and installed populist and black candidates into office across the state, including the governor’s mansion. The Democrats, party of the elite at the time, decided to make race the wedge issue to regain power. Racial fear-mongering dominated public discussion. It worked, and had immediate impact. In 1896, the first separate waiting rooms appeared in Charlotte train stations. In 1903, Independence Park became closed to black residents. By 1910, there were clear black and white neighborhoods in Charlotte’s uptown. 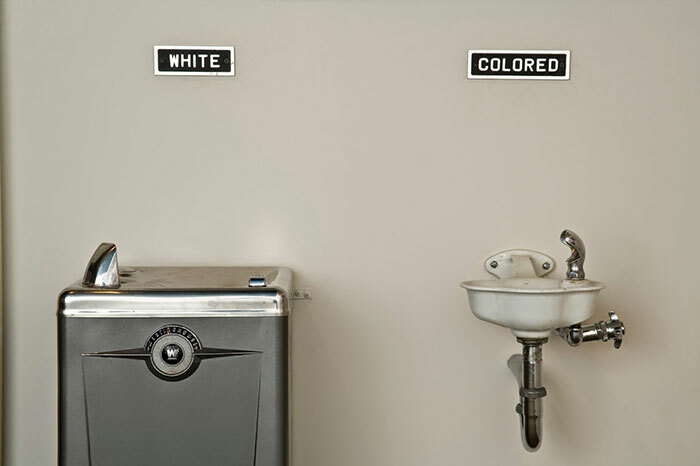 And these water fountains appeared in city hall. In the early 1900s, neighborhoods began to develop catering to three classes: affluent whites (Myers Park, est. 1911), poor whites (NoDa, est. 1903 when the Highland Park Mill was founded) and African-Americans (Brooklyn, in what is now Second Ward’s government district). When the Great Depression hit, the mortgage market dried up. The federal government began color-coding neighborhoods so out-of-town investors would be able to assess their credit risk for making loans in particular areas. As you can imagine, 1930s-era policies were not race-blind. White neighborhoods were green-lighted for loans. Black neighborhoods were literally outlined in red, meaning a bad investment. People were not able to get loans to buy their own home, leading to low rates of home ownership that persist today. Federal funding came available to tear down “rundown” areas of town, and the vibrant and mixed-income Brooklyn neighborhood was quickly on the chopping block. More than 1,400 homes were demolished, along with 215 businesses. Second Ward High School, a fond memory for older Charlotte residents still today, came down in 1969. Black families relocated to neighborhoods like Belmont, Wesley Heights and Biddleville (where Johnson C. Smith University is located) and set up the dynamic that is still evident today. Things are rapidly changing today. Charlotte now has the fastest-growing Latino population among major metro areas. You’ll recognize Central Avenue as an international hub, but Polk Street in Pineville is right up there. East Charlotte in general has a huge opportunity to create a mixed-income diverse community. It’s important to know this history. It took conscious decisions to get us to the point we are today, and it will take conscious decisions to create an equitable community. I really only scratched the surface here. Go listen to Tom Hanchett speak. It’s worth your time.